The UT for ArcGIS Product Suite is greatly focused on a database driven configuration. The ease of installation of new desktop clients when only connecting to a database and all custom configuration is right away available is simply too convincing in modern IT environments. All UT products, the UT Editor, the UT Asset Manager, the UT Server and also the UT Integrator read from the same configuration repository. This makes the roll-out of a custom configuration in an enterprise environment as easy as it gets. Nearly every professional utility has a test environment besides the production environment also. A test environment is nowadays quickly set up with the possibilities of virtualization. Smaller customers may focus only on production and test environment, larger customers may additionally provide for a training, failover, and potentially an acceptance environment. 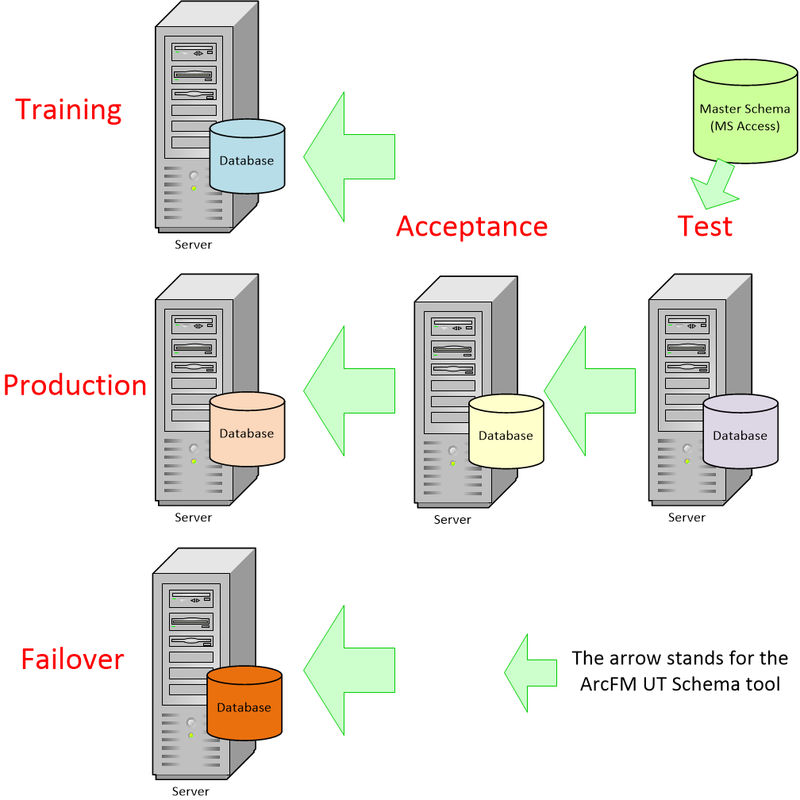 For the transfer of the database schema, the UT for ArcGIS Product Suite provides the UT Schema Tool, which copies the complete schema or only parts thereof to the target environment. Within the UT for ArcGIS Product Suite, administrators may define users and also assign certain roles with corresponding rights to these users. Login to the software can be linked to a directory service or it is automated via single sign on (SSO).